Sixth Saturday of Great Lent: Lazarus Saturday. 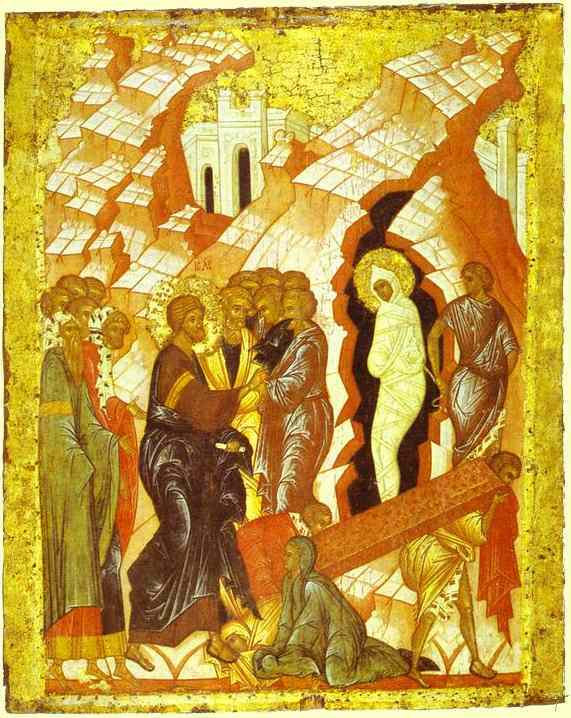 Troparion (Tone 1): Assuring us before Your Passion of the general resurrection,* You raised Lazarus from the dead, O Christ God;* and so, like the children, we also carry signs of victory* and cry to You, the conqueror of death:* Hosanna in the highest! * Blessed is He who comes* in the name of the Lord. 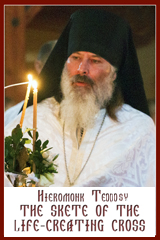 Kontakion (Tone 2): Christ, the joy of all, the truth, the light,* the life, the resurrection of the universe,* in His goodness has revealed Himself to those on earth;* He Himself has become the pattern of the Resurrection,* granting divine forgiveness to all. Instead of “Holy God…”: All you who have been baptized into Christ, you have put on Christ. Alleluia! What can anyone do to me?’ Remember your leaders, those who spoke the word of God to you; consider the outcome of their way of life, and imitate their faith. Jesus Christ is the same yesterday and today and for ever. Alleluia (Tone 5): Alleluia, alleluia, alleluia! 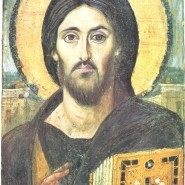 verse: The Lord is King; He is robed in majesty and girded with might (Ps 92:1). Gospel (John 11:1-45): At that time a certain man was ill, Lazarus of Bethany, the village of Mary and her sister Martha. Mary was the one who anointed the Lord with perfume and wiped his feet with her hair; her brother Lazarus was ill. So the sisters sent a message to Jesus, ‘Lord, he whom you love is ill.’ But when Jesus heard it, he said, ‘This illness does not lead to death; rather it is for God’s glory, so that the Son of God may be glorified through it.’ Accordingly, though Jesus loved Martha and her sister and Lazarus, after having heard that Lazarus was ill, he stayed two days longer in the place where he was. Then after this he said to the disciples, ‘Let us go to Judea again.’ The disciples said to him, ‘Rabbi, the Jews were just now trying to stone you, and are you going there again?’ Jesus answered, ‘Are there not twelve hours of daylight? Those who walk during the day do not stumble, because they see the light of this world. But those who walk at night stumble, because the light is not in them.’ After saying this, he told them, ‘Our friend Lazarus has fallen asleep, but I am going there to awaken him.’ The disciples said to him, ‘Lord, if he has fallen asleep, he will be all right.’ Jesus, however, had been speaking about his death, but they thought that he was referring merely to sleep. Then Jesus told them plainly, ‘Lazarus is dead. For your sake I am glad I was not there, so that you may believe. But let us go to him.’ Thomas, who was called the Twin, said to his fellow-disciples, ‘Let us also go, that we may die with him.’ When Jesus arrived, he found that Lazarus had already been in the tomb for four days. Now Bethany was near Jerusalem, some two miles away, and many of the Jews had come to Martha and Mary to console them about their brother. When Martha heard that Jesus was coming, she went and met him, while Mary stayed at home. Martha said to Jesus, ‘Lord, if you had been here, my brother would not have died. But even now I know that God will give you whatever you ask of him.’ Jesus said to her, ‘Your brother will rise again.’ Martha said to him, ‘I know that he will rise again in the resurrection on the last day.’ Jesus said to her, ‘I am the resurrection and the life. Those who believe in me, even though they die, will live, and everyone who lives and believes in me will never die. Do you believe this?’ She said to him, ‘Yes, Lord, I believe that you are the Messiah, the Son of God, the one coming into the world.’ When she had said this, she went back and called her sister Mary, and told her privately, ‘The Teacher is here and is calling for you.’ And when she heard it, she got up quickly and went to him. Now Jesus had not yet come to the village, but was still at the place where Martha had met him. The Jews who were with her in the house, consoling her, saw Mary get up quickly and go out. They followed her because they thought that she was going to the tomb to weep there. When Mary came where Jesus was and saw him, she knelt at his feet and said to him, ‘Lord, if you had been here, my brother would not have died.’ When Jesus saw her weeping, and the Jews who came with her also weeping, he was greatly disturbed in spirit and deeply moved. He said, ‘Where have you laid him?’ They said to him, ‘Lord, come and see.’ Jesus began to weep. So the Jews said, ‘See how he loved him!’ But some of them said, ‘Could not he who opened the eyes of the blind man have kept this man from dying?’ Then Jesus, again greatly disturbed, came to the tomb. It was a cave, and a stone was lying against it. Jesus said, ‘Take away the stone.’ Martha, the sister of the dead man, said to him, ‘Lord, already there is a stench because he has been dead for four days.’ Jesus said to her, ‘Did I not tell you that if you believed, you would see the glory of God?’ So they took away the stone. And Jesus looked upwards and said, ‘Father, I thank you for having heard me. I knew that you always hear me, but I have said this for the sake of the crowd standing here, so that they may believe that you sent me.’ When he had said this, he cried with a loud voice, ‘Lazarus, come out!’ The dead man came out, his hands and feet bound with strips of cloth, and his face wrapped in a cloth. Jesus said to them, ‘Unbind him, and let him go.’ Many of the Jews therefore, who had come with Mary and had seen what Jesus did, believed in him. Irmos (Tone 4): Let us honour with glory the pure Mother of God; though she received the Divine Fire within her womb, she was not consumed. With never ceasing hymns, O people, we magnify her. Communion Verse: Out of the mouths of infants and nursing babies* You have perfected praise (Ps 8:3). Alleluia! (3x).